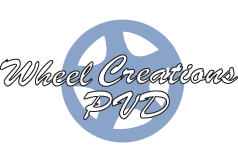 Wheel Creations PVD is the answer when you want to outfit your vehicle to create a luxury feel without the price tag. We offer sleek looking black chrome rims for Kias that create a unique and sleek appearance that you can be proud of. Switching out stock rims for chrome options is a simple modification with us. Find the perfect rims for your vehicle in our inventory or speak with our experts about our exchange program. Our professional team can help you find the best way to upgrade your Kia for a premium look that you can count on. Our signature black chrome is a step above the bright options that other manufacturers offer. With our patented Physical Vapor Deposition process, we create stylish rims for all kinds of rides. 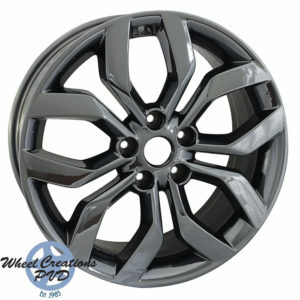 Our selection of Kia black chrome rims is just one great example of our craftsmanship. Every rim is created using a specialized powder coated prime and vacuum chamber, where the chrome is electrostatically sputtered onto the rims for a phenomenally smooth finish. As a bonus, creating our chrome rims is 100% environmentally safe. With black chrome rims, your vehicle will have an understated, luxurious appearance that other modifications just can’t offer. To help you find the best rims for your vehicle, we offer a range of different color options – such as PVD Black Chrome, PVD Onyx Chrome, and PVD Midnight Chrome – so you can match your car perfectly. These are some of the PVD chrome wheels we currently have in stock. If you don’t see your Kia’s model listed below, we can still work with you to get the perfect PVD black chrome rims for your Kia. We don’t just want our rims to look great; we also want them to be something you can count on. That’s why one of the priorities at Wheel Creations is to offer the most durable chrome rims on the market. The manufacturing process we use to create black rims for Kias and other vehicles is designed to be the ultimate PVD rim solution for your needs. These rims are more durable than traditional chrome plating options and will resist corrosion and peeling. Even when exposed to repeated curb rash, road chemicals, and harsh weather, these rims stand the test of time. Take your vehicle to the next level with help from Wheel Creations. We make outfitting your Kia with black chrome rims an easy and hassle-free process. We offer a reliable solution for all your needs at an affordable price. Learn more about our manufacturing process and how our wheels can benefit your Kia vehicle today. You can reach our team of experts over the phone at (562) 381-2670 or via email at sales@wheelcreationspvd.com. They can provide all the assistance you need to get the right rims for your ride.